A perfect treat to celebrate the land that we love! We've taken rounds of our rich vanilla and smooth chocolate cakes and dipped them into baths of luxurious imported Belgian chocolate. We then embellish each treat with our signature, bright confection drizzle and sweet candy appliqués. 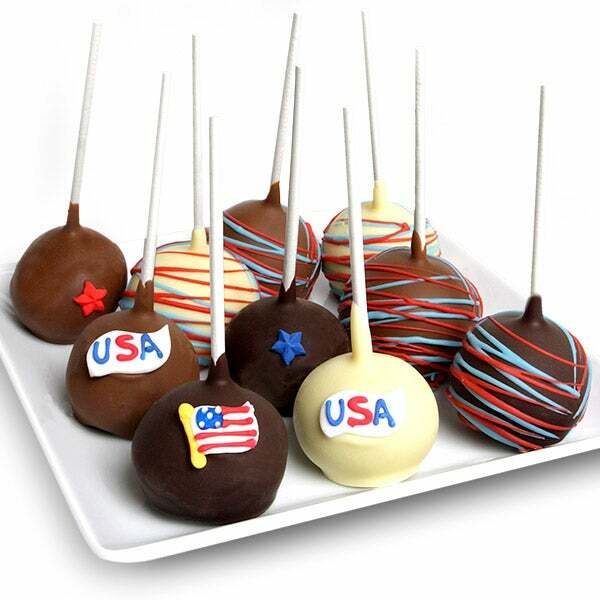 Makes for a delicious and patriotic way to celebrate the 4th of July!